What’s the most frustrating text message? That’s right, the one from your mobile phone provider telling you that you’ve nearly reached your data allowance for the month. As we all know, data is expensive, especially when it’s over your contract limit. 1 – Switch to WiFi wherever possible. Sounds obvious, but get the log-in details to as many WiFi accounts/hotspots as you can. Whether you are at home, at work, at a friends house, in shops and cafes – it all helps. Most mobile providers have a cloud service too – BT now has over 5 million hotspots in the UK. There are lots of apps that allow you to monitor your data, call and text allowance. My Data Manager is one that is rated highly in the App Store. Once you’ve installed your app, it’s easy to set an alert. Tap Settings > General > Background App Refresh. This takes you to the Background App Refresh window. Once you are in the Background App Refresh window you can control which apps are able to refresh their content in the background. How many apps are munching up your data without you knowing it? By default, all apps have access to data. Tap Settings > Mobile Data. 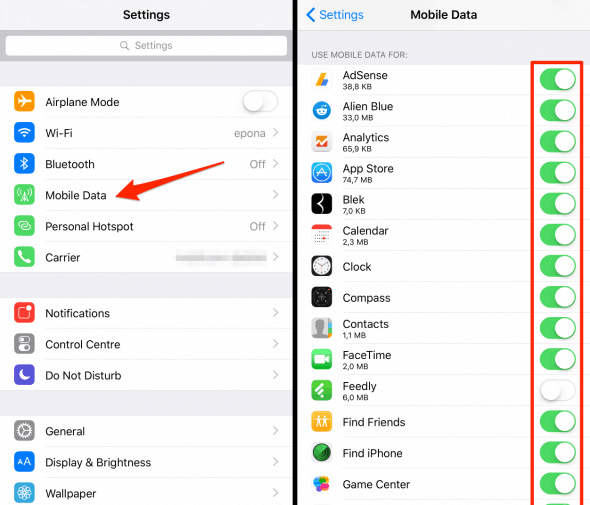 This takes you to the control of mobile data for all apps. 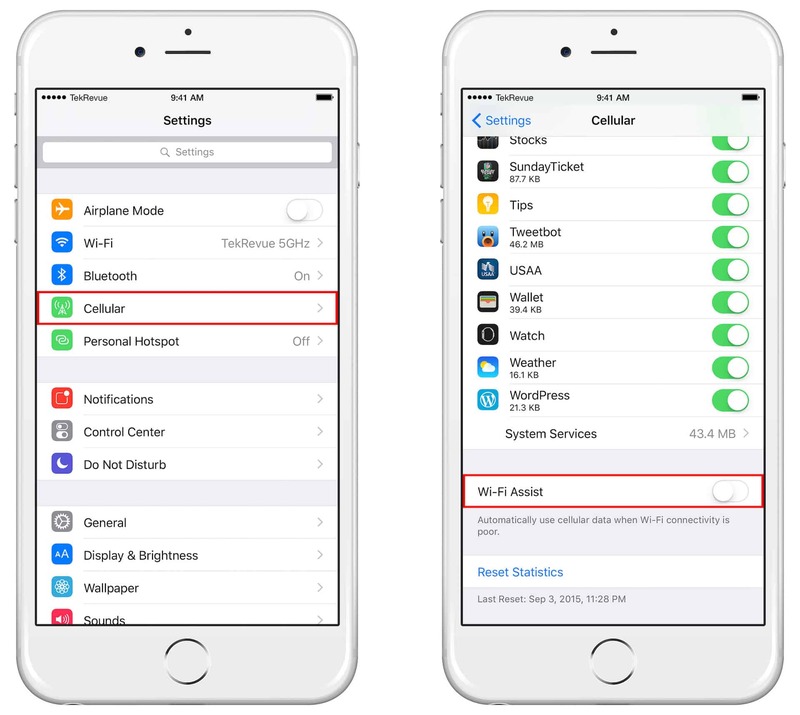 WiFi Assist is a smart feature that will use your mobile network if your WiFi is flakey. Great idea, but if you don’t know its happening(and you probably won’t) then it might be worth turning it off. Tap Settings > Mobile Data and scroll right to the bottom.